For more than 45 years, we have been a leading supplier of technical production solutions across London, the UK and worldwide. Our diverse team of designers, technicians and project managers have built a reputation of using their passion, expertise and ground-breaking technology to deliver spectacular results on time and on budget. Our reputation has seen us work across the globe, from the Discovery Eurosport Winter Olympics broadcast on-site in South Korea, to the award-winning Cambridge University Fundraiser at Banqueting House to the Flipside Project at Selfridges. Whether it’s an immersive retail experience, an international sporting broadcast, or a bespoke product launch, we can offer you the equipment, knowledge and support needed to ensure your project is a complete success. Whatever your project, whether it’s a large scale corporate event, an exhibition, a small scale social gathering, or anything in between – our project managers will work closely with you to deliver something unforgettable. We can provide the complete event production support including lighting, sound, AV, props, and staging for a wide range of projects. 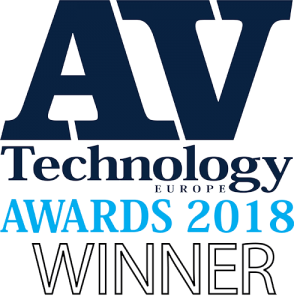 Don’t take only our word for it, we have been awarded for our work in 2017 & 2018. We are one of the leaders in supplying technical solutions to experiential events. We have worked on a range of ground-breaking projects including the creation of the Gfinity Esports Arena, the adidas launch of Project Pogba alongside the award-winning University of Cambridge fundraiser at Banqueting House. For each of these bespoke events, we sat down with each client, listened to their vision and turned this into a reality. At fashion shows, it’s not just the clothes that need to stand out…A fashion ‘show’ is just that and needs the strongest AV and lighting support to deliver an unforgettable experience. 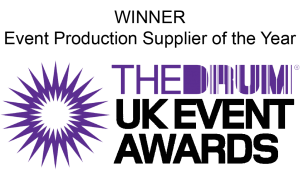 Alongside annually working on London Fashion Week, we've been called upon for events with OMEGA, the Glamour Awards, Matalan and the British Fashion Awards. We offer fashion shows the vital combination of decades worth of experience along with expert staff and immediate access to the latest technology. Whether it’s a bespoke soundscape, state-of-the-art lighting, HD projection or live streaming, we have the resources and expertise to transform any conference and ensure it achieves its potential. We work with a wide range of clients from smaller companies to some of the world’s largest brands, including Facebook, Google and the European Space Agency, to provide technical solutions to conferences in a variety of venues, ranging from ExCeL, the Lee Valley Velodrome and the Science Museum. You only get one chance to make a first impression. Regardless of whether it is a product launch or the opening of a venue, when something is seen by the world for the first time, you need to ensure it is as memorable as possible. We work closely with our clients to ensure that the creative and technical solutions we provide reinforces their brand, their message and creates a memorable launch. We have worked on several high-profile launch events, ranging from the Rolling Stones’ EXHIBITIONISM to the opening of Arch64 restaurant to a virtual reality exhibition at the Science Museum and even the Women’s Equality Party. An award ceremony is a celebration of success. 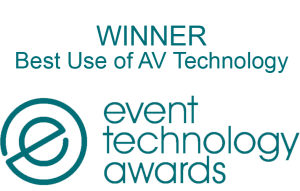 Regardless of whether this is an international event, a recognition of colleagues or a themed celebration, we can offer the technical solutions to make it an exceptional occasion. We have experience of working on large-scale ceremonies ranging from the Evening Standard Progress 1000, the NME Awards and BT Sport Industry Awards. We also frequently work on smaller ceremonies, including the Tonic Theatre Awards, CSJ Awards and the Scholastic Book of the Year. VenuesWL is our recently launched website where you can view our venues’ work. You will see our portfolio of venues where WL is an approved supplier but also a service partner.